Pupils learning Gaelic "match and better" their peers in other subjects, Highland Council has said. It said figures compiled from SQA exam results showed more credit level awards were attained in the language than for English. 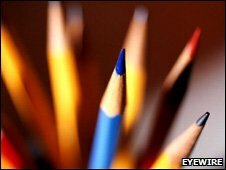 The council said youngsters taking Gaelic medium education also performed well at maths. But it said a "very small" number of S6 pupils were doing Gaelic as an Advanced Higher. Gaelic committee chairman Hamish Fraser said there were clear benefits of bilingual education. He said: "Far from holding pupils back, as some critics would have it, this is proof again that pupils learning in Gaelic medium schools not only do well in Gaelic but match and better their peers in other subjects. "This is why demand for Gaelic medium education is strong and why we need to do everything in our power to try and accommodate that growth by attracting and training a new generation of Gaelic medium teachers." Education director Hugh Fraser said some of the pupils came from families where Gaelic was not spoken. He said the youngsters had a good standard of written and spoken Gaelic. Mr Fraser added: "Another key result is that the Gaelic Medium pupils do better in English than their 'mainstream' counterparts. I think this helps to demonstrate the fundamental benefit of receiving a bilingual education." Last month, an extra £800,000 for a project promoting Gaelic in schools was announced by the Scottish government. First Minister Alex Salmond confirmed the spending ahead of a meeting of the Cabinet in the Western Isles. The money took the level of funding for the government's Gaelic Schools Fund to £2.15m this year. Mr Salmond said the investment would help expand Gaelic education in schools, and lead to more people using the language.